Until Mazda recently introduced its new Spark-Controlled Compression Ignition (SpCCI) gasoline engine, internal combustion engines (ICEs) were classified as either spark or compression ignition. The historical differences between the two were obvious: spark-ignition engines were quiet and smooth and compression-ignition engines were not. Mazda has broken that stereotype by introducing a production version of its Spark Controlled, Compression Ignition (SpCCI) gasoline engine, which combines the best features of both ignition systems to increase fuel economy and reduce exhaust emissions. Before we begin, let’s not confuse a previous development, Homogenous Charge Compression Ignition (HCCI), with SpCCI. HCCI is an engineering concept developed by General Motors in which spark ignition and compression ignition occur as separate functions. A major problem with HCCI is a noticeable transition from the spark to compression-ignition mode. Mazda has successfully addressed the transition issue by keeping its SpCCI engine in the spark ignition mode, which boosts cylinder pressures and temperatures to compression-ignition levels upon demand. But more about that later. See Photo 1. Photo 1: The idea of using spark ignition to detonate the residual fuel in a cylinder provides a new twist on internal combustion. When combined with gasoline direct fuel injection (GDI), variable valve timing (VVT), a very high mechanical compression ratio and a supercharger, Mazda’s SpCCI or “SKYACTIV-X” engine can improve fuel economy up to 20% over its current SKYACTIV-G engine. According to some data, the use of very lean air/fuel ratios and compression ignition can increase fuel economy up to 30% at lower vehicle speeds. With a 2.0-liter displacement, the SKYACTIV-X engine delivers about 10% more torque than its SKYACTIV-G predecessor and up to 20% more torque at specific engine speeds. At the exhaust emissions end, using compression ignition to ignite a very lean air/fuel ratio (AFR) actually reduces combustion temperatures that, in turn, significantly reduces nitrogen oxide (NOX) pollutants. For years, we’ve been taught that “detonation” is a bad word in spark-ignition engines. With conventional spark-ignition engines running 14.7:1 AFRs, the detonation process takes place near the edge of the piston. Shock waves caused by detonation typically result in broken piston rings and piston ring lands. Most cases of detonation in conventional spark-ignition engines are caused by a combination of low-octane gasoline and over-advanced spark timing. But let’s rewrite the book on detonation. When running in the compression-ignition mode, Mazda’s “split injection” GDI system injects a very lean 30:1 air/fuel mixture into the cylinder. This very lean AFR contains roughly twice the volume of air found in a “stoichiometric” 14.7:1 air/fuel ratio used in conventional engines. To efficiently ignite the 30:1 AFR, the GDI system surrounds the spark plug with a rich air-fuel mixture to promote ignition. The spark plug ignites this rich mixture, creating a flame kernel that ignites the surrounding lean fuel mixture. See Photo 2. Photo 2: This is an overhead view of illustrating a lean AFR mixture located at the periphery of the cylinder and the rich AFR mixture located at the center. So far, so good, but nothing new as far as lean-burn ignition cycles go. Unfortunately, a 30:1 AFR burns very slowly and often very erratically. So, let’s introduce a diesel-level 15:1 mechanical compression ratio, which is high enough to bring atomized, regular-grade gasoline up to detonation-level pressures and temperatures. Thanks to the increase in cylinder pressure created by the spark-ignited flame kernel, the 30:1 lean AFR simultaneously detonates practically all of the hydrocarbons contained in the cylinder. This produces a nearly pollutant-free exhaust stream, which reduces the load on the catalytic converter. And, since we’re looking at AFRs ranging up to 30:1, the volume of gasoline in the cylinder evidently doesn’t contain enough chemical energy to break pistons and rings, which might be the real trick to making SpCCI work. 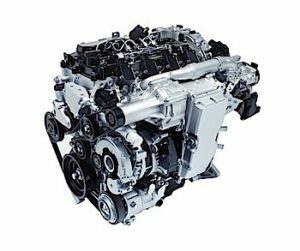 While Mazda’s SpCCI basic engine design is nearly the same as its gasoline direct fuel-injected cousins, it incorporates some unique technical features that deserve our attention (see Photo 3). According to one major engineering journal, the SpCCI engine has sensors in each cylinder to provide real-time monitoring of cylinder pressures and temperatures. 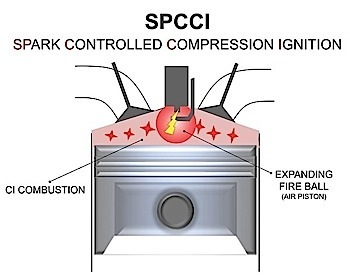 The SpCCI’s “split” direct fuel injection is designed to inject part of the fuel on the intake cycle and the remainder on the compression cycle. The direct fuel injection system is also capable of generating more than 7,000 psi to support compression ignition operating modes. The pistons are shaped to retain a richer air/fuel mixture at the center of the cylinder to promote spark ignition. 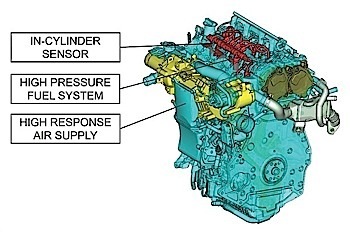 Last, the engine is equipped with a uniquely engineered Roots-type supercharger that is labelled a “high-response air supply” to maintain cylinder pressures during various operating modes. Photo 3: The in-cylinder pressure sensors, an extremely high-pressure fuel injection system and a high-response supercharger are the heart of the SpCCI system. The actual operating modes of the SpCCI engine are obviously more complex than I’ve described. But, working with the information available at the time of this writing, I’ll speculate that SpCCI diagnostics will be very much scan-tool based and might very well depend upon the in-cylinder pressure sensors in the future. 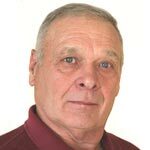 But, other than verifying sensor circuits with lab scopes and voltmeters, old-school combustion diagnostics won’t apply. On the flip side, the SpCCI engine will no doubt simplify exhaust emissions controls since it produces less nitrogen oxide (NOX) and hydrocarbon (HC). According to one source, carbon dioxide emissions might also be reduced through the use of bio fuels in future SpCCI variants. Veteran import technicians will no doubt recall Mazda’s venture into the rotary engine market during the 1970s and ‘80s. On a per-cubic inch basis, the rotary or “Wankel” engine out-performed all of the conventional designs of the day. Unfortunately, the large surface area of the rotary’s combustion chamber generated excessive boundary-layer hydrocarbon emissions and allowed a lot of heat energy to be dissipated into the cooling system. So, during an era of gasoline shortages, rotary engines weren’t quite as fuel- and emissions-efficient as conventional I/C engines and they perished as a result. That said, the Mazda rotary engine still cuts a wide swath among sports car enthusiasts. But, the SpCCI engine holds far more promise, especially as an alternative power source to power grid-dependent electric vehicles. And, due to its basic design parameters, it becomes a nearly perfect engine for hybrid vehicle applications. Just my opinions, and for what they’re worth. I spent my summer helping with a bond issue for new middle and high school buildings. After one public meeting, our architectural consultant and I discussed the concept of “open-space” learning using portable tables and chairs contained inside portable walls. Then, our conversation turned to teaching applied Science, Technology, Engineering and Mathematics (STEM) in open-space classrooms. It suddenly dawned on me why open-space classrooms are far more adaptable to teaching STEM-based curriculum than our old closed-space classrooms filled with rows of wooden desks. Closed-space classrooms impose limitations on how kids learn, whereas open-space classrooms don’t. While STEM curriculum isn’t a new educational concept, it’s by far the best way to prepare our younger generation to learn new technology like Mazda’s SpCCI engine. STEM-based robotics labs, for example, not only teach kids how to build machines that process information and do work, they also teach project planning, critical thinking and hands-on skills. Mazda’s forward-looking SpCCI engine certainly isn’t wooden-desk technology, which is why we need to become more STEM-conscious in how we educate our current technicians. We also need to become more STEM-conscious because we can no longer consider teaching applied academics and logical and critical thinking skills as an optional exercise in vocational or Career Technical Education (CTE). Whereas rows of wooden desks preserve the status quo, STEM-based education challenges the status quo by breaking academic and vocational stereotypes. While that bold step into the future might intimidate some, our greater fear should be that, without teaching our younger generation how modern technology works, we’ll find ourselves forever trapped in a world of diminishing returns. Clinging to obsolete educational models is a futile exercise in times of radical change. As time and technology move forward, so should we.